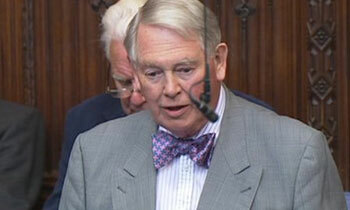 British Baron Lord Naseby said both the UK and the US were guilty of atrocities and that the two countries should inform the UN Human Rights Commission to withdraw the resolution against Sri Lanka. Lord Naseby, the President of the All Party British Sri Lanka Parliamentary Group, said this after reading the UK Parliament’s Intelligence and Security Committee report published on June 28. In a statement on Saturday, Lord Naseby said he was shocked and appalled that the UK should not only condone Torture and extensive mistreatment of prisoners but actually in certain cases instigate it. To me as a senior Politician of 44 years in Parliament whatever the threats may be, such practices are totally unacceptable. As I read the report I reflected on the nearly 30 years of fighting in Sri Lanka between the forces of the democratically elected Government and the LTTE Tamil Tigers, the worst Terrorist Body in the World and proscribed in over 30 countries: a War that only ended on May 18, 2009 with the total defeat of the Tamil Tigers,” he said. He said now they know the truth that the UK and the US were really guilty themselves of atrocities. In my opinion these two nations should now tell the Human Rights Commission in Geneva to withdraw the motion against Sri Lanka.After all it is already clear that good progress is being made to find out the missing persons, enact a new Prevention of Terrorism Act and create an independent Truth & Reconciliation Commission. Both the UK and the US must know their actions total undermine the UN Charter and its Human Rights provisions,” he said. He said even now they do not know the whole truth behind ‘Detainee Mistreatment & Rendition’ including torture as the UK Government have refused to publish all the material they have. One wonders why in terms of Sri Lanka the UK government refused to release the Gash Despatches in full. It is increasingly clear to me that these refusals may well hide data that in the case of Sri Lanka will exonerate the actions of Sri Lanka’s forces or they will expose some actions that the UN/ UK/USA took to undermine Sri Lanka and their publication would in effect fully vindicate Sri Lanka,” he said.